"Security of North East Asia from a Historical and Geopolitical View"
There is little known about North Korea, the country that is known to play foreign diplomacy like a spoiled child and rattles the stability of the North East Asia region by its illegal actions such as repeatedly sending spy boats to Japan’s shores, abducting Japanese nationals, and withdrawing from the nuclear non-proliferation treaty (NPT). North Korea’s future actions are often known to be unpredictable. Countries, such as South Korea that shares the same ethnic background, China and Russia that are located north of North Korea, Japan that lies across the sea, and across the Pacific Ocean, the United States, can significantly influence North Korea’s behavior. It is, therefore, important to monitor these countries’ further approach to North Korea. The purpose of this study is to analyze North Korean issues from geopolitical viewpoints based on the historical actions of the countries that surround North Korea, and also to investigate Japan’s security measures from both geopolitics and history. 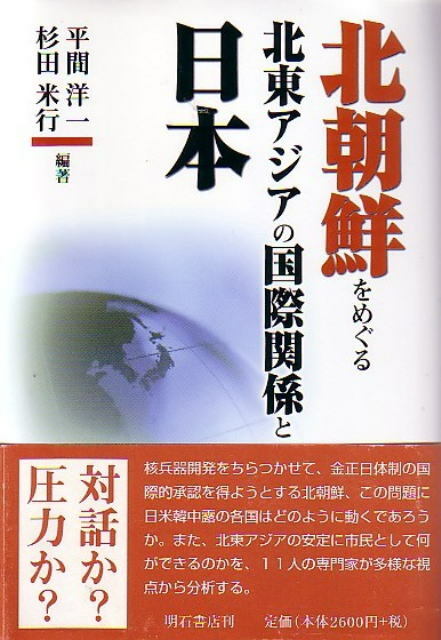 In order to analyze views on history between the two Korean countries, “South Korean State-Designated History Textbook,” and “Recognition of History of the People’s Democratic Republic of Korea,” the website provided by the department of North Korean overseas affairs, both translated into Japanese, were used as reference in this study. The term Korea refers to both South and North Korea, as well as the two countries’ geographical and historical factors. The Republic of Korea is hereinafter referred to as South Korea, and the People’s Democratic Republic of Korea is hereinafter referred to as North Korea. Before the modern period, China and Japan had great impact on the security of the Korean peninsula. In the era of the three kingdoms (Koguryo, Baekje, Silla), when China was chaotic, or not strictly in control of the peninsula, these three kingdoms split into much smaller kingdoms and continued to battle amongst themselves. Korea then sought Japan’s aid for its power balance, and became allied with Japan periodically. As the three kingdoms were heavily influenced by the political trends of China, when China established a state power, wars broke out amongst the kingdoms trying to be the first to bring tribute to China. While overthrowing one or the other with the aid of China, a kingdom who overpowers the peninsula, in return, had to face certain protocols (rules of submission to China in order to increase its own security) and mark the start of its history as a tributory country. Between the end of the 4th century and the beginning of the 5th century, by sending hostages to both Koguryo and Japan, Silla was hedging it bets about which of the two spheres of influence it should ally itself with. Meanwhile, with the federation of Dae Gaya (Allaguk and the Gaya States), Baekje approached and allied itself with Japan in the campaign against Koguryo. In 400, when Koguryo made an attempt to invade Baekje and the Dae Gaya federation, Japan helped its allies to fight against Koguryo. When conflicts broke out between Baekje and Silla, Allaguk showed its support with Silla. Japan then changed its ally, from Baekje to Allaguk, and helped Silla defeat Baekje. However, when Silla gained power in 554 by killing the king of Baekje as well as defeating the Dae Gaya federation, Japan was expelled from the Peninsula. When Sui (China) was overthrown in 618, Tang (China) took over power. After the rise of Tang, international relations in North East Asia were stable. Silla, then under attack by Baekje, requested Tang to provide aid in the conquest of Baekje in 660. Tang sent 130,000 troops to join Silla’s 5,0000 troops, and the allied forces defeated Baekje. The king and prince of Baekje were captured and taken to Chang-An, China. As a result of Baekje’s defeat, a number of Baekje refugees fled to Japan. With Japan’s aid, the refugees regained power while protecting the Baekje Prince, and for a short time, they recovered over half of Baekje’s lost territory. Nevertheless, when Japan lost against the allied forces of Tang and Silla in a battle in 663, restoration of Baekje became unattainable. Meanwhile, Silla was determined to fight against Tang, and by 676, it removed Tang and retook all of the old Baekje territory on the Peninsula. Silla eventually overthrew the Dae Gaya federation and settled 120 years of conflicts amongst the three kingdoms. Since Silla, in constant conflict with Tang, regarded relations with Japan important, it deepened the relationship by exchanging envoys 30 times by the late 7th century. When Silla restored its relations with Tang, it brought stability to the peninsula, but caused frictions in its relations with Japan. In 698, Balhae was founded in the region between the north of the Peninsula and southern Manchuria. When Balhae approached Japan in the campaign against Tang and Silla, Japan, in fierce conflict with Silla, decided to ally itself with Balhae. Japan (the Nakamaro Fujiwara administration) provided substantial support to Balhae in helping plot expeditions to Silla. In 926, however, Balhae was defeated by Khitan. After Goryeo overthrew Silla in 935, unifying the peninsula, there was stability, and no active relations were seen amongst the countries except for trade business. Between 933 and 1019, Goryeo was able to prevent several attacks by Khitan. When the Mongols invaded Goryeo, however, the King of Goryeo surrendered in 1259. Defiantly, the generals of Goryeo refused to acknowledge the surrender, and formed forces, such as the Sambyulcho unit., which consisted of farmers and lower class individuals. Despite their efforts, the Mongols and Goryeo’s allied forces drove the unit out to Cheju in 1273. During this period, the Sambyulcho unit sent a mission to Japan to seek assistance in combat. Regarding this incident, the South Korean State-Designated History Textbook states that; “We had persistently fought in the battlefield for over 40 years. Especially farmers and peasants fought bravely and made significant progress,” “lower class individuals also participated to overcome the invasions of the Mongols.” While the textbook emphasizes the resistance of the Sambyulcho unit, it calls the King of Goryeo’s surrender a peace treaty proposed by the Mongols. It, however, never refers to the fact that the King of Goryeo teamed up with the Mongols to betray and defeat his people. Here is an example that Korean history excludes inconvenient historical facts in order to disconnect them from its history. As North Korean history indicates, the Koreans are indeed persistently resistant against foreign invaders. At the same time, Korean history carries many coups d’ e tats, conflicts amongst factions, break offs between rulers and non-rulers, and corruption amongst political advisers. Consequently, repellence towards rulers and political advisers who lost power is quite serious and intense, and often results in severe endings. As shown in the presidential history after WWII, all of the former presidents, except President Kim Young Sam, faced tragic endings, either fleeing from the country, being assassinated, or being imprisoned. The current North Korean Government still prioritizes the preservation of the communist dictatorship over the nation’s prosperity or welfare. It is possible that the huge distinction between rulers and civilians would bring the nation’s collapse, generated from a split in the military over power, or a coups d’ e tat. On the other hand, considering the current situation of which the country is isolated from the world, without the support of the secret police and its people’s strong will of resistance, it may not be expected to happen for a while. In 1274 and 1281, the Mongols attempted to invade Japan. On these occasions, Yuen (China) orderd Goryeo (Korea) to build warships and supply food, soldiers and boatmen. As a result, Korea suffered huge sacrifices by providing 300 warships, 5600 soliders, and 6700 boatmen for the 1st invasion, and 900 warships, 10000 soldiers and 15000 boatmen for the 2nd invasion. While no reference to the Mongol’s invasions of Japan can be found in either South or North Korean history, there is however a reference to Korea’s attacks on Japan. “In 1389, Korea sent 100 warships and conquered Tsushima (Japan) where Japanese pirates were nested. The Korean troops were successful in weakening Japanese morale, and in 1419, the Korean troops leading over 200 warships subdued the Japanese pirates, and successfully conquered Tsushima.” The Korean conquest of 1389, however, cannot be found in the chronological table of Japanese history. The Japanese pirates (or Sea Dogs, from the Queen Elizabeth era term for traders that turned to piracy) emerged around 1226, and were most active between 1350 and 1380. The King of Goryeo and the Emperor Ming (China) repeatedly asked Japan to control the situation. The situation, however, remained unchanged until the Red-Seal Ship system was implemented. When Hideyoshi Toyotomi took over ruling power and succeeded in uniting Japan, he sent troops to the Korean Penninsula, 158,800 men in 1592, and another 141,490 men in 1597. In the 1592 invasion, the Japanese army captured Pyongyang within a month, passing beyond Tomangan, and futher advanced to Yanji,China. With China’s appearance in response to Korea’s request for assistance, the Japanese troops were pushed back by a combined Ming-Joseon army. And as a result of Hideyoshi's death and conflicts amongst the Japanese troops, peace negotiations were made between the two nations, and the Japanese forces withdrew from the peninsula. Regarding these expeditions, the South Korean textbook describes them as follows: “Having been unprepared, Korea was unable to prevent the attacks by the Japanese who were fully armed and well-trained with matchlock guns.” It explains the defeat was due to being unprepared while covering up the internal disorders and political corruption. It also adds; “Korea’s strong and persistent resistance drove the exhausted enemy to seek peace negotiations,” “when the Japanese army lost the will to fight, they started to retreat, but the Korean navy led by Admiral Yi Sunshin destroyed hundreds of Japanese ships, and won a sweeping victory.” Although Japan’s defeat was brought on mainly by Ming’s aid to Korea, it says; “the loyal Korean army was raised in the cause of justice nation-wide. Ming came to be allied with us when Korea’s victory, led by the Korean navy, was close at hand.” And it claims that; “the Japanese plundered Korea’s cultural assets such as typography, books, and paintings, and abducted ceramicware technicians and scholars, which brought significant contributions to the development of Japanese culture,” “the Tokugawa Government requested exchanging messengers between the two countries so that they could take advantage of our advanced culture.” “The Korean delegations contributed not only to the diplomatic relationship between the two nations, but to the introduction of our advanced culture and technical skills, which greatly helped Japan develop their own culture.” In these statements, some interesting remarks can be observed. Concerning the Chinese invasions, the South Korean textbook mentions the names of invading countries such as ‘Tang army’ and ‘Sui army,’ while North Korean history neglects the name of China, rather refering to it as “foreign army.” In contrast, in reference to the Japanese invasions, both South and North Korean history describe Japan by modifying the Japanese army to “Japanese invading army.” In addition, it is observed that ‘subjugation’ or ‘subdue,’ as in ‘to defeat an evil,’ is often used in reference to the Korean attacks on Tsushima. Apart from domestic chaos such as long lasting disputes and conflicts among factions over interpretation of the writings of Neo-Confucianism, the state-religion, the Koreans had to face countless invasions by China and Japan, and had been constantly forced to fight and negotiate for their country’s destiny. Under these circumstances, the Koreans have developed admirable diplomatic tactics, which can be observed in the following instances; when North Korea negotiated to make a cease-fire agreement in the Korean War, when Korea insisted on their own foreign policy, with “Chie Chu ideology,” opposing China and Russia at the time of the Cold War, and during the conflicts between China and the Soviet Union, North Korea went between the two countries, and resulted in winning substantial aid from both countries. Further, in the negotiation talks with the United States in the early 90’s, Korea attained aid in constructing a light-water reactor, in addition to food supplies. Admirably, these remarkable negotiation skills are regarded as part of the historical heritage of the country, acquired as a result of being a lesser power. Conflicts of interests in Korea between China and Japan led to the Sino-Japan War, and resulted in Japan’s defeat of China. With new conflicts of interests in Korea between Russia, the Russo-Japan War broke out where Japan overthrew Russia. Then in 1910, Japan annexed Korea, colonizing the country. In a broad sense, the Japanese occupation seemed to have brought an end to conflicts over the Korean Peninsula. Until then, Korea had always been in the shadow of the three nations, Sino (China), Russia and Japan, who were each pursuing their own interests in that nation. For instance, Sino as a suzerain power, was interested in securing the territory of Korea, Russia was pursuing its own political interest by proceeding south, and Japan was seeking to establish inroads to the continent, as well as a defensive buffer zone. Japan’s perspective was that if Korea, the isolated nation, was to be occupied by the great powers, Japan’s security would be at stake. Hence, Japan’s priority was to induce Korea to open and modernize the country. In 1875, Japan triggered off the Ganghwado Island incident, which led to a Japan-Korea amity treaty the following year, and succeeded in opening Korea. After that, Japan continued to intervene in Korea’s internal affairs, and schemed for the establishment of a pro-Japanese administration within the country. Sino, meanwhile, sent its troops to Korea to repress a rebellion in 1882, and Yuan Shikai later seized real power in the Qing (Ching) Dynasty. Russia, which was seeking ice-free ports, built a coal storage house in Jeoryeongdo, Korea in 1888. Due to the Triple Intervention, concluded in 1895, Russia leased the territory of Dalian, and it then started to show its real interests in the Korean Peninsula. When Russia increased its interference with Korean internal affairs, King Gojong attempted to take advantage of being allied with France to create a balance of power. In failing to do so, Korea then decided to lean towards Russia. In the meantime, Japan made the “Manchuria-Korea Exchange Negotiations” with Russia that recognized Russia’s advantages in Manchuria in exchange for Japan’s economical advantages in Korea. This resulted in concluding the Yamagata Aritomo-Robanof convention in 1896, and the Nishi-Rosen convention in 1898. Russia, however, disregarded these conventions, deploying its ground forces and financial advisors to Korea. 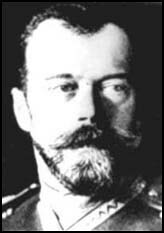 In 1896, Russia moved its fleets from the Russian warship Admiral Nakhimov, as well as King Ko Jong, into the Russian legation. King Ko Jong ordered to dissolve the cabinet of the reform faction, and gave orders to kill people from the reform and the pro-Japanese factions. Subsequently, Russia sent three warships to the port of Masanpo where they built another coal storage, and leased Yongampo to establish a military base in the Yellow Sea area. On land, Russia was conspicuously making its way into Korea by smuggling its forces beyond Amnokkang on the pretext of a deforestation project. In response to this movement, Japan became allied with Britain, in order to prevent Russia’s world-class army’s southward advance. The Japan-Britain alliance was the naval alliance that tied the two island countries that resided on either side of the globe, representing the first alliance made between the white race and the yellow race on an equal footing. Hence, by having the support of the seapower, Britain, Japan overthrew the landpower, Russia, despite Germany and France’s intervention. Japan’s victory resulted in concluding the Katsura-Taft convention in 1905 and a revision of the 2nd Anglo-Japanese(Japan-Britain) alliance. Having concluded the Japan-Russia entente and the Japan-France entente in 1907, Japan granted privileges to France in Indochina, the U.S. in the Philippines, Britain in India and Russia surrounding Mongolia in exchange for Japan’s advantages in Korea over those of the U.S., Britain, Russia and France. After Japan annexed Korea in 1910 by removing the influence from the great powers on the Korean peninsula, security was brought on to the North East Asian region. From a historical and geopolitical viewpoint, South Korea had been always surrounded by the powerful landpowers (Mongolia, the Chinese Empire, Russia or the Soviet Union in the modern period) that lie north of the Korean peninsula. By utilizing Korea, the tip of the continent, the landpowers made their attempts to extend their power beyond Korea, which resulted in confrontations with Japan. When allied with a seapower, Japan as well used the Korean peninsula as a bridge to advance to the continent. Thus, the Korean Peninsula had been a bridge between Japan and the Eurasian continent for a long period of time; it helped bring culture back and forth, but constant threats by foreign powers also came through that bridge. History also indicates that Korea’s stance on Japan, whether or not it was a pro-Japanese state, had great influence on Japan’s security as seen by the Mongols or Goryeo’s attempted invasions of Japan. Upon entering the modern period, Japan maintained its security by allying itself with seapowers against landpowers in its attempts to extend its power onto the continent. What are key elements, from a historical and geopolitical viewpoint, in selecting allies which determine a country’s prosperity and decline? Upon entering the modern period, Japan made its ally with the seapower, Britain, that led Japan to a victory in WWI. As a result, Japan was ranked among the 5 permanent members of the Security Council of the League of Nations. During WWI, Japan allied itself with the landpower, Russia and concluded the 4th Japan-Russia entente to prevent Britain and the U.S. from intervening in Manchuria. In the wake of the Russian Revolution, Japan made the Japan-China Joint Defense Military Agreement with the landpower, China, in 1918, and sent troops to Siberia to join the revolution force. And by the late 1930s, Japan was isolated from the rest of the world, but later made the triple military alliance with landpowers such as Germany and Italy, which led to Japan’s defeat in WWII. After that defeat in the war, the U.S.-Japan security treaty was concluded, which brought Japan over half a century of peace and prosperity. During the one century of Japan’s modern history, which is between the time of the Japan-Britain alliance and the Japan- U.S. alliance, Japan experienced its greatest prosperity whenever allied with seapowers, whereas suffered hardships whenever allied with landpowers. Why do the seapowers have such an influence on Japan’s prosperity? That is because the sea-lanes allow the seapowers to bring in inexpensive goods in large quantities, and Japan can establish efficient economic relationships with trading partners while having the deregulated trade options. 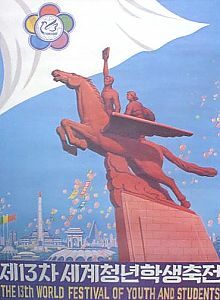 In contrast, Russia and Eastern Europe suffered severe economic hardship and collapse due to geographical restrictions or despotic governments, and as a result, the European Community (EC) survived while the Warsaw Treaty Organization (or Warsaw Pact) dissolved at the close of the Cold War. In other words, the economic collapse in Russia and Eastern European nations can demonstrate that; politically, democracy defeated despotisms, economically, a free economy won over a Socialist planned economy, and geopolitically, seapowers won against landpowers. The Koreans experienced 35 years of colonization under the Japanese Government’s control since Japan annexed the country in 1910. Consequently, both South and North Korean history express their strong anti-Japanese sentiments, which occupy 70 percent of the contents of their modern history. In the outline of “The Nationalist Movement for Independence” in the South Korean textbook, there is the following statement; “The Japanese Empire forcibly dissolved the Korean military in order to make us powerless. In the course of carrying out its aim to colonize our country, Japan seized the judiciary, the police power, and the sovereignty. The Resident-General that rules colonization, was invested in Korea in order to oppress the Koreans through their military police. By the Japanese seizure of Korean farm land, Korean farmers were forced to become peasants. They plundered many of the resources of Korea, forcing our land to become a commodity market that supplies necessary raw materials for the development of Japanese industry. Japan’s aggressive colonizational policy was to enslave the Korean people in order to maximize their own profits.” It describes Japan’s occupation as being similar to the doctrinairism of Western colonialism, while Japan’s contribution to their infrastructure such as education, railways and public institutions, which were highly valued in Taiwan, is not at all mentioned. The Suwon incident is indeed said to be the largest massacre during the Japanese occupation. Although, the “World War Crime Encyclopedia” reports 24 males who were 15 years or older, were killed in the church, 33 houses were burnt, and 5 males and 2 females were killed in the villages. In the next section of “Japan’s extermination policy of Koreans,” it states that; “the Japanese forcibly squeezed agricultural products out of the Koreans and, by the end of the war, old iron, brass ware, spoons or chopsticks were all plundered. Aside from a seizure of material products, the Japanese imposed brutal mining and manufacturing labor on the Koreans. With the implementation of the compulsory military draft system, Korean youths were drafted into the Japanese army or the Student Volunteer Ordinance. Many young South Koreans sacrificed their lives on the battle lines across the nation. The Japanese army also came to take away Korean women on the pretext of a volunteer corps, forcing them to become military prostitutes to comfort the Japanese military men.” In the above statement, it is observed that the students in the event of the “students mobilization” were described as military prostitutes. Although the South Korean textbook insisted that 200,000 women were taken away by the Japanese forces as war prostitutes, it is reported, in the “World War Crime Encyclopedia,” that the sum of military prostitutes taken by the Japanese forces during WWII is estimated at 8,000 up to 16,000 maximum. And the number of applications for reparations the Korean Government received had been reported to be about 500. As shown, both South and North Korea often distort historical facts, especially number values, in the same way that China does. This could result from lack of development of historical study under the circumstances where rulers still control information. Concerning WWII, the South Korean history textbook states: “the Korean independence army battled against the Japanese army across China with the Chinese forces. On the Indian as well as Myanmer battle lines, the Korean armed forces, allied with Britain, also fought against the Japanese army. The Korean independence army, which was well-trained in a special program in China in cooperation with the U.S. army, plotted a strategy to drive the Japanese out of the country in order to restore our homeland. A number of Koreans living in the U.S. at that time, patriotically volunteered in the U.S. army to fight for Korean independence.” The textbook claims that the Korean army fought against Japan together with China, Britain, and the U.S., without stating the actual number of participants in the allied forces. In an extreme case, however, even one Korean’s participation could substantiate the description. Granted that the Korean army’s participation is a fact, then why did the Foreign Ministers’ conference held in Moscow in 1945 amongst the U.S., Brtitain, and the Soviet Union, decide to place Korea under the 5 ?year trusteeship of the League of Nations, instead of giving it independence? Subsequently, the South Korean textbook states that; “while South Korea recognizes the victory of the Allied Powers brought independence back to our nation, we must remember that the Korean people’s persistent movement for independence and resistance against Japan finally came to fruition.” During this period, on the other hand, it is observed that there were many Koreans who were willingly supporting Japan and had a desire to become complete Japanese. For instance, King Kojong’s 4th son Lee Wang Gun graduated from the Military Academy as well as University of Armed Forces in Japan, and became the 1st Air Force commander and a military counselor of the Japanese army. Also, from the royal family, Lee Wu Gong was an Army colonel, while Lee Kun Gong became an Army lieutenant colonel. And Hong Sa Ick, a member of the general public, had become a lieutenant general. Not only were these Koreans above Japanese division commanders or regimental commanders, but also took command of Japanese soldiers. Moreover, applications from Koreans to join the Japanese army were overwhelmingly received around this time. Coupled with these facts, unlike Western colonialism, the relationship between Korea and Japan may be considered to be similar to that of England and Scotland. For the U.S., since it had no clear policy concerning Korea before the Korean War, Acting Secretary of War Robert P. Patterson proclaimed the U.S. army’s withdrawal in May 1947, stating that Korean affairs are no longer significant to the U.S.’s military interests. Subsequently, in the summer of that year, claiming that there is no advantage to the U.S. in maintaining military forces or bases in Korea, Lieutenant General Albert C. Wedemeyer suggested a simultaneous withdrawal of both the U.S. and Soviet’s military from the territory. By June 29, 1949, the U.S military withdrew from Korea, and on Jan 12, 1950, Secretary of State Dean Acheson renounced the U.S.’s influence on the Korean Penninsula and Taiwan, claiming that the U.S.’s focus is on its defence line of the Aleutians, Japan, Okinawa and the Philippines. With regards to Korea and Taiwan, the U.S. “acknowledgs the people’s resistance resulted from severe invasions, however, the influence on Korea and Taiwan should be in the hands of the U.N. Charter with the assistance of the world, consisting of the civilized nations.” Some sources say this remark may have triggered North Korea to decide to advance south. When the Korean War broke out, however, the U.S. immediately changed its strategy and got itself involved in the war as the U.S. regarded the war as a sign of the intention of the Soviet Union to increase its sphere of influence. Fuji Kamiya states his perspective in the “Korean War” that; China may have foreseen North Korea’s defeat would affect China’s dignity in Asia, and was concerned that it would leave a big stain on China’s future if it abandoned its neighboring communist country. Japan, meanwhile, established its Ground Self Defense Forces during the Korean War. The Ground Self Defense Forces, the former Security Forces, originated from the Police Forces Reserved, was formed under the order of a commander of the Occupation Allied Forces, who was concerned about Japan’s domestic security upon dispatch of the U.S. military to Korea. As for the Maritime Self-Defence Forces, when nearly 200,000 refugees fled to Japan’s shore, the Harbor Guard Forces was formed in Hakata to prevent the influx of pestilence and cholera. The Hakata Harbor Guard Forces were later transformed into the Maritime Safety Agency, then became the present Maritime Self Defence Forces. There is a significant difference in historical views of the Korean War between the two Koreas. 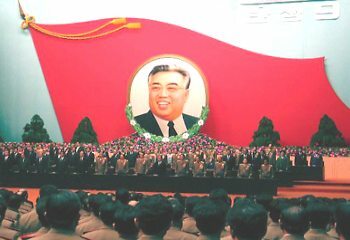 For instance, North Korea calls it the “Liberation War for the Fatherland” while blaming the U.S. for the cause of the war; “On June 25, 1950, with its well-plotted war strategy, Americal Imperialism induced the South Korean army led by Rhee Syngman to declare war against the People’s Democratic Republic of Korea in their attempt to invade the entire Asian region.” South Korea, on the other hand, seems to blame North Korea for the war, stating “the communist army of North Korea invaded South Korea across the 38th parallel,” “With this June 25 war, North Korea defied South Korea’s peace and freedom. It is, thus, regarded as a crime against the same ethnic group of people. Because of the war, many people lost their lives and properties. Factories, powerplants, bridges and railways were all destroyed.” While the name of the country, or the term ‘nation’ were not mentioned, ‘they’ or ‘the communist army of North Korea’ were used in reference to North Korea instead. In “History of the Korean War,” Japanese scholar Hideki Kaimura sympathizes with North Korea in blaming Japan for Korea’s separation. “although Japan had no intention to divide up Korea, Japan’s unforeseen surrender had driven the two Koreas to separate themselves.” He also states that Japan is responsible for the 38th paralell division of Korea, which was originated from the territory boundry fixed by the Japanese army as their defense zone. Kim Dae-Jung, however, stated that North Korea advanced southward as it felt the necessity of unification of homeland in the wake of terrorism and sabotage committed by communists in South Korea. It must be noted that Kim Dae-Jung described the Korean War as a civil war for unification of the country, which is similar to the one that took place in the United States. If supported by such a perspective, North Korea becomes free from war liability issues. Instead, it would put the U.S. in a position where the U.S. interfered with the North Korean “Liberation War for Homeland” and would justify North Korea’s views of ‘American Imperialism,’ which is “the U.S. officially took part in the Korean War, wearing the hat of the U.N. forces”. Here is another example showing that both South and North Korea twist historical facts in accordance with trends and to best suit their purposes. After the Korean war, though Japan and South Korea’s normalization negotiations were attempted with the help of the U.S., they made little progress due to President Rhee’s strong policy of nationalism. In January of 1953, in order to regain Rhee’s public support, South Korea implemented the one-sided “Rhee Syngman line” that restricted Japan’s fishing rights on the sea around the Korean Peninsula while occupying the Japanese territory of Takeshima. The regulation prohibited entry of Japanese fishing boats in the area and the South Korean Government often captured Japanese boats, claiming that the boats invaded beyond the “Rhee Syngman line.” With Rhee’s exile from South Korea, the relationship between Japan and South Korea improved when President Park Chung Hee took over power in 1961. President Park regarded Japan as important for the development of the South Korean economy. The ultimate agenda of the negotiations between the two nations was the ‘reparations’, and the Park administration initially demanded 800 million dollars. Japan, however, provided 300 million dollars worth of products as well as the support with economic strategic planning, 200 million dollars non-repayable financial aid, and 200 million dollars in low interest loans. In June 1965, the Japan-South Korea fundamental treaty was concluded with loan agreements of private trust funds for 10 years. The South Korean Government paid 9,545 individuals (2,861,000,000 won) for individual reparations, and 93,685 individuals (6,641,000,000 won) for property loss reparations. Upon completion of these payments, Japan officially paid its dues for the war liabilities. On Aug 15, 1981, President Doo Hwan Chun made the following speech: “We shall not blame only Japanese Imperialism for our failure of the past, but shall acknowledge that we had the lack of awareness of international affairs and failed to unify ourselves. We must blame ourselves for not forming a strong force in our nation.” He further remarked that South Korean independence was brought by the victory of the Allied Powers by adding; “We shall not conceit ourselves meaninglessly by glorifying our history against the truthful facts.” Japan-South Korea relations then seemed to have made progress until December 1999, when three ex-Korean war prostitutes demanded 20,000,000 yen in reparations against the Japanese Government, supported by a South Korean Women’s Association and a Japanese lawyer. This issue created a sensation in both Japan and South Korea mainly because it disgraced the pride of the Korean people with the fact that their women were sexually assualted by the Japanese - an inferior race-. Agitated by the media such as the Asahi Newspaper, Japan was partly to blame for the sensation. It was, in fact, accelerated by Chief Secretary Yohei Kono’s imprudent apology, who commented that there was military personnels’ involvement in the lawsuit, without conducting any investigation. In order to cope with these matters, the Japanese Government proposed the establishment of the Asian Women Fund, which would be a private organization. The South Korean Government, however, refused to accept funds from this organization, proclaiming that Japan neglected its war liabilities. Since then, South Korea uses this issue as a diplomatic tactic against Japan. When South Korea suffered a severe monetary crisis in the late 90’s, South Korea approached Japan to seek economic aid. Also, President Kim’s decision to open the Korean market to Japanese culture, as well as the opportunity to co-host the World Cup, made contributions to improve Japan-Korea relations, which also helped the Japanese build a sense of affinity towards South Korea. The World Cup was, however, predominantly ruled by South Korea. The opening ceremony was held in Seoul, and the event’s official name was determined to be the “Korea-Japan World Cup” to which the international rules that names of participating countries appear in the alphabetical order, did not apply. Despite Japan’s concessions, South Korean’s anti-Japanese sentiments still remain unchanged. Meanwhile, in the course of the Korean War, as well as the Cold War, diplomatic relations between Japan and North Korea were never negotiated until 1966, when Kenji Miyamoto, the Chairman of the Communist Party, visited North Korea for the first time to open diplomatic relations between the two nations. The relationship between North Korea and the Communist Party worsened when the Communist Party defended the Red Army hijacker (1970) against North Korea, and accused North Korea of the terrorism act in Rangoon (1983). The Socialist Party forced their way into the relationship by sending representatives to North Korea by 1970, and it later became predominant in the diplomatic relations with North Korea. From then on, while it skillfully spoke for North Korea, the Socialist Party overlooked the illegal actions performed by North Korea’s spy agencies such as capturing Japanese fishing boats, smuggling drugs, or abducting Japanese nationals. Concerning the Korean Airline crash, for instance, the Socialist Party denied the charges against North Korea, defending it with front page coverage in the “Socialist News;” “The Case Unproven ? 7 Unanswered Questions about the Korean Airline Crash.” In 1989, it was, however, unveiled that 9 members of the Socialist Party, in return, had received funds totaling 9,020,000 yen from the North Korean General Association and the Pachinko Play-Machine Union. In the postwar relations with North Korea, Japan had been rather tolerant with North Korea concerning many issues such as; unpaid accounts for trades where the Ministry of International Trade and Industry had to take over insurance payments to a Japanese exporter, over 1 trillion yen bailout to a North Korean related bank, the capture of Japanese fishing boats, and the abduction of Japanese nationals. Bearing these incidents in mind, what damages had Japan caused North Korea after WWII? Although Japan-North Korea negotiation talks were held between 1991 and 1992, and resumed in 1994 upon the U.S.-North Korean agreement, none of the talks made any positive progress. In 2000, Japan suddenly sent 50000-tons of rice to North Korea, as a promise made by Secretary General Hiromu Nonaka during his visit in 1997 and 1999. Whether or not it was under similar circumstances, Japan, again, sent rice to North Korea at the end of 2002, shortly after North Korea admitted the case of the abduction of Japanese nationals. In the 50 years of postwar relations between Japan and South Korea, the Japanese Government repeatedly made apologies to South Korea. As previously stated, reparations and apologies have already been made, and even the South Korean Government have, whether or not it is under a military or a civilian controlled government, agreed upon positive Japan-South Korea relations for the future. Nevertheless, South Korea suddenly raises Japan’s war liabilities by bringing up the issues of war prosititutes, or Prime Minister’s Yasukuni Shrine visit, and even interferes with Japanese history textbooks. Not to mention, anti-Japanese sentiments still remain strong in both South and North Korea, and never seem to disappear. What are the reasons behind all these problems? It partly seems to come from a sense of humiliation that lies in their minds due to the fact that Japan, consisting of a despicable and inferior race, had occupied their country for 35 years. In the “South Koreans’ History View,” Kuroda Katsunori explains that the South Koreans’ anti-Japanese sentiments and war liabilities issues have resulted from not only the Japanese colonization, but also the fact that Koreans were almost Japanized during the war. That is to say, in order for them to retrieve a South Korean national identity, they needed to rewrite their history to best suit their perception by denying the entire history, labeling Japan as evil, and distancing themselves from Japan. When South Korea achieved success in holding the Olympics, and overcame the IMF financial crisis, it also attained national consciousness as well as confidence in themselves. Thus, by launching the ‘history restructure’ and ‘history adjustment’ campaign, South Korea rewrote their history gloriously. As a result, it caused frictions between Japanese and South Korean history, that led to South Korea’s demand for corrections on Japanese textbooks in compliance with their history. Moreover, according to the “Japanese Imperialism Doesn’t Talk All About History” written by South Korean auther, Oh Seon-hwa, South Korean history should comply with the historical views of the South Koreans’. It is not about “filling in the gap” between the two histories, but it is about Japan’s “rewriting” its history to reflect the views of the South Korean people. Which means, throughout the entire history, starting from the Jingu Empress’s conquest of the three kingdoms, Hideyoshi Toyotomi’s invasions of the Korean Peninsula, the ‘Conquest of Korea’ during a period from the Edo and the Meiji era, to the annexation of Korea, the South Koreans have viewed the Japanese as hostile and aggressive against the Koreans. South Korea’s perception of history in relation to Japan is, therefore, to have the Japanese recognize their own aggressiveness and have them show remorse for their past actions. As for the constant demands regarding Japan’s war liabilities, particularly, concerning the issues of the war prostitutes, it has become South Korea’s diplomatic tactics to use these points against Japan. This enables South Korea to feel superior to Japan on the international level by labeling Japan as a nation of immorality. It is more likely that South Korea continues with war liabilities issues as well as the Japanese textbook amendment demands. South Korea’s anti-Japanese sentiments will remain strong as long as it educates their people with the textbook that is distorted against the historical facts. Therefore, it is anticipated that the fragile relationship between Japan and South Korea, which frequently bursts into conflicts triggered by trivial concerns, will continue for a considerable time to come. In the meantime, North Korean history makes no reference to either China or the Soviet Union’s involvements in the Korean War. It describes the war as; “the North Koreans bravely fought in firm confidence to defeat American Imperialism. We were determined to fight as long as we were led by our iron commander, Kim II Sung, who was undefeated throughout 100 battles and blessed with distinguished military tactics,” “the enermy lost over 405,000 soldiers during the 3-year war.” According to American public data, however, the U.S. lost 54,246 soldiers in total in that particular war. Upon the 50th anniversary of the Korean War, further investigation was conducted in which it was found that there was a miscalculation in numbers of casualities from the Korean war, and the numbers were corrected to be 36,516 in total (33,686 deaths and 2,830 wounded). In terms of war liabilities, the Korean war was Korea’s greatest tragedy in history, that brought killing, hatred, and over half a century of divisions amongst themselves, and it had even brought much greater misfortune than Japan’s 36 years of occupation. Both South and North Korea, however, seem tolerant of China and the Soviet Union’s involvement in the war. For instance, South Korean history only comments; “they (North Korea) intensified their military forces by allying themselves with the Soviet Union under a secret agreement,” while no reference to the Soviet Union is made at all in North Korean history. Although China caused greater damage than the Soviet Union, South Korean history only describes China as; “the Chinese advanced southward with an enormous number of military units,” “1,000,000 units of the Chinese military’s invasion forced the South Korean and the U.S. army back beyond the boundary, and Seoul was, again, occupied by the Communist Army.” Thus, the Chinese intervention actually had a great influence on the war situation, resulting in rescuing the premature collapse of Kim II Sung’s regime. This led to the division of the two Koreas, and caused the separation of families affecting more than 10,000,000 Koreans. It also unnecessarily prolonged the war, increasing the number of war victims, and further interfered with South Korea’s intention of unifying the two nations by removing Kim II Sung’s regime. The South Korean Government demanded an apology from China and the Soviet Union upon resuming diplomatic relations, however, neither of the countries have yet agreed to comply with the demand. The movements of key nations in relation to North Korea are very significant for the future. For China, North Korea is very critical to their national defense mechanism. North Korea is a country that has tremendous international political influence, and is another of the few countries that share the same communist political system as Vietnam. However, if North Korea possessed nuclear weapons, that would make North Korea the 2nd military power in North East Asia, then China would have less political influence over North Korea. Further, provided North Korea continues with its inhuman and illegal actions, China, that is pursuing its own internationalization, may be blamed by other nations for its leniency to North Korea. On the other hand, should the U.S. ever attack and apply economic sanctions to North Korea, China, as a suzerain power to that nation, would not tolerate it as long as it promotes anti-American supremacy in Asia. In the meantime, Russia’s interests in North Korea are more economic in nature than political such as improvements on the engineering tools Russia once donated to North Korea, exports of products or natural gas, economic developments in Siberia, and a railway connection between South and North Korea to allow Russia to open its market to South Korea and Japan. Politically, Russia is in alignment with China by not supporting the U.S.’s influence in North East Asia, at the same time, it has common views with the U.S. in terms of North Korea’s inclinaiton to China, which would disadvantage Russia in terms of power balance in North East Asia. For the U.S., as State Secretary Dean Achison pronounced in 1950 that the U.S.’s geographic defence line excludes South Korea, North Korea is also ‘not’ geopolitically critical to its security. These factors indicate that, the further China develops and the greater it becomes, the more South Korea will lean towards it like it did back in the era of Goryeo Dynasty. If the U.S. military withdraws from South Korea, there might be the potential that the Chinese would form a “Chinese ideological organization” to govern the entire North East Asian region. Japan-South Korea relations then would create further friction and conflicts, and South Korea may eventually distance itself from Japan. For instance, when each of the Western Imperialists, such as France, Britain, the U.S. and Russia made attempted invasions of the Joseon (Korean) Dynasty, Korea clung onto either Sino China, France, or Russia to balance its power against Japan. In fact, South Korea had never had the inclination to ally itself with Japan as it follows the Chinese ideology that despises Japan. There are some key elements to consider in order to ensure Japan’s security for the future. Japan is a small island with few resources, counting on an enormous amount of imports for energy, food products, and raw materials. By adding value to the imported materials, Japan manufactures internationally competitive products, and exports them to other nations. Having such a state of commerce, it is the primary requirement to maintain a good relationship with exporting countries, and secondly, it is important to have countries that are interested in the purchase of our products. Thirdly, it is significant to secure the sealanes for transport, by insuring that the sealanes are stable and undisturbed, and our trading partners are peaceful and prosperous. In other words, world peace is most critical for Japan’s economic growth and prosperity. Japan, therefore, ought to make contributions to maintaining world peace by actively participating in Peace Keeping Operations. In addition, in order to secure the sealane from the Indian Sea to Japan, Japan should strengthen the relations with maritime countries bordering key sealanes, such as India, Australia and Singapore. Next, Japan must seek solutions to cease wars, disputes, and conflicts so that world peace can be attained and maintained. In fact, many suggestions have been addressed to this issue for a long period of time, though, our history indicates that peace existed when a super great power emerged to reign over the world, or when multiple nations formed an alliance that enabled the power of each nation to be equally balanced. In that sense, while providing assistance with the development of Siberia, Japan can establish a co-existence and co-prosperity agreement with Russia, which is also greatly concerned with China’s expanding military power, to cope with overwhelming powers such as North Korea and China in North East Asia. Further, Japan should intensify its political and economic relationship with a pro-Japanese country, India, by increasing investments in that nation. The relationship with India, which neighbors China, becomes very critical in securing the sealane that lies on the Indian Sea. In terms of relations between Russia and China, Russia is, in fact, attempting to build a strategic security triangle with India and China to oppose the expansion of U.S. power. On the other hand, according to the “Janes’ Foreign Report (Dec 12, 2002 issue),” Russia regards China as a latent enemy on the long-term basis, whereas to India, it exports cutting edge offensive weapons. Thus, making an alliance with India and Russia may help Japan maintain its security against China. Concerning North Korea’s Nuclear development program, Japan’s stance has always been “to have consultations with other concerned nations.” However, if a trilateral meeting was held amongst Japan, South Korea and the U.S., Japan might fall into South Korean elect-President Roh’s stance; “to prevent war, frictions with the U.S. may be unavoidable (Feb 14, 2003 Yomiuri Newspaper).” It may result in the U.S. military withdrawal from South Korea and Japan, which would strategically favor China, Russia and North Korea. In fact, when Japan issued a request to China for holding a top-level talk conerning North Korean issues, China refused the request by reason of its disagreement with the Japanese Prime Minister’s Yasukuni Shrine visit. Also, as shown by such examples as Iraq’s invasion of Kuwait, the Kosovo war, and the recent U.N. inspections of nuclear weapons in Iraq, it seems that the bigger the problems are, the more difficult, it is to reach resolutions through multilateral bodies such as U.N. and NATO. When the League of Nations was formed after WWI, due to the awareness of the need for a multilateral security system, the Washington Conference decided to transform the Japan-Britain Alliance to the ‘Quadrilateral treaty concerning Pacific affairs’ by adding the U.S. and France. Further, in Europe, an international organization called the ‘Locarno Agreement’ was established. Despite the existense of all of these organizations, none of them could prevent WWII. History indicates that the multilateral security system can help strengthen bilateral relations, but fails to complement bilateral relations. It is observed that the recent North Korean threat was a reaction to South Korea and Japan’s disgreement, which followed Russia and China, to U.S. President George W. Bush’s firm approach to North Korea, insisting that South Korea and Japan would seek peaceful resolutions based on negotiations. Namely, North Korea reacted strongly against South Korea and Japan’s unrealistic political approach, citing that international political negotiations and peaceful resolutions can only be attained with a hint of possible military enforcement against illegal and disobedient actions. Granted that taking military action should not be practiced to resolve international affairs, at the same time, it would be unrealistic to settle all international disputes and problems without it. In reality, international politics somehow require force to maintain political balance. For instance, Japan, standing on the Eastern tip of the Asian continent, requires allies as its backbone in order to stand on its own two feet against the sphere of Chinese influence. Now the question is, what are the key elements in selecting allies? Nations, that share the same principles, and have comprehensive international values or morality, are considered to be ideal to be allied with. However, as British Prime Minister Henry J. T. Palmerston in the 19th century quoted; “the British Empire has neither eternal friends nor eternal enemies. What exists with us are eternal national interests,” every nation ultimately pursues national security and interests rather than idealism, principles, or needless to say, international justice that constantly changes under various circumstances. Now, despite Russia and China’s involvements in the Korean War which caused enormous damage to South Korea, and Britain and France’s nearly 100 years of colonization of nations such as China, India, Burma or Vietnam, which sacrificed millions of people’s lives, none of these powers made apologies nor reparations like Japan did. Why is it that Japan must always suffer demands for reparations, and have our internal politics interfered with on the pretext of war liabilities? It is simply because Japan lost the war. In reality, Japan had become the “pariah”of the world after WWII, and the world had nothing to do with us except punish us. From this viewpoint, the primary element in selecting allies, is political power, secondly, military force that supports their political power, and thirdly, economic strength to protect and maintain the military force. In addition, as the media and non-government organizations have influence on international public opinions due to the recent development of globalization or information technology, nations that have control over informaiton, can be a desirable candidate to be allied with. Based on long-term national interests, and regardless of neighboring nations’ influence, Japan should highly regard the U.S., the greatest military power in the world, as an important ally, and focus on preparation for defence programs such as the Ballistic Missile Defence in compliance with the Japan-U.S. security standards. Politically, Japan can learn wisdom from our ancient leaders who managed to keep Japan independent from the sphere of the Chinese Empire for nearly 2000 years while maintaining an equal relationship. In past attempts of Japan-North Korea normalization talks, Japan’s failure in the negotiations resulted in losing the national interest to North Korea’s tactical schemes. This was due to Japan’s lack of planning and Japanese politician’s interests-oriented strategy. From now on, Japan should monitor international political situations without making irrational decisions even when U.S.-North Korea talks or South Korea-North Korea relations improve, or when Kim Jong II receives invitations as a guest of the state to nations such as Moscow, Beijing or Seoul. Considering Japan still positions itself as the greatest economic power in Asia, without Japan’s economic aid, support of North Korea would be a huge burden on South Korea’s economy, which is one-tenth of Japan’s GDP. Consequently, either the U.S. and South Korea, or North Korea, would have to approach Japan to resume normalization talks between Japan and North Korea. For instance, In the 70’s, when China went behind North Korea to conclude the U.S.-China amicable settlement, North Korea sought South Korea-North Korea talks and Japan-North Korea normalization, and in the early 90’s, the Soviet Union as well betrayed North Korea in resuming Soviet Union -South Korea diplomatic relations. North Korea then asked to reopen such diplomatic talks. It is, therefore, apparent from the past actions that North Korea seeks to resume South Korea-North Korea talks or Japan-North Korea normalization talks whenever it gets betrayed by either China or the Soviet Union, and isolated from the rest of the world. Japan has already been losing in the battle of war liability issues. There are an overwhelming amount of Chinese and Korean Websites in English comprised of accusations of Japan’s war time conducts. However, of that amount, only 10 percent offer Japan’s counterarguments. World history, in fact, is comprised of historical information in English. Therefore, unless Japan presents its history in English to appeal to the world, there is a danger of Japan being labelled “an immoral nation” by the world, as both South and North Korea seem to be conspiring to do, as well as becoming a tributary nation that would continue to provide economic aid to China or North Korea. Our first objective is, by removing the current system which is administered by interest-oriented Japanese politicians and North Korea’s special agencies, to re-establish diplomatic relations, following that of the U.S. and South Korea, on a Foreign Affairs Ministry - Foreign Affairs Ministry relation basis, and bring it back to the hands of the people of the nations. Secondly, based on this accurate historical information, we must demonstrate our history in English and appeal to the world, and accurately rewrite the Japanese textbook that had been repeatedly distorted to comply with both South and North Korean historical views. Since it is often said that victims only provide a one-sided story, it cannot illustrate the accuracy of history. Therefore, we ought to provide our young generations with a history textbook that is free from political ideological influence in order for them to acknowledge and establish historical views based on accurate and truthful facts. Otherwise, there is, again, the potential that with a sense of guilt, Japan would fall into becoming a tributary nation. This tendency is shown by a survey conducted by NHK in regards to Japan’s war liabilities. Amongst the subjects that responded “yes” to the question whether Japan should carry on with war liabilities, 37 percent of the subjects were born during the wars, and 52 percent of those were born after the wars. In contrast, amongst the subjects of the “no-war experience” group who were born after 1959, and received history education with the revised textbook, 60 percent responded “yes” to Japan’s carrying on with the war liabilities. Lastly, with my strong message of the importance of learning history, I would like to conclude with the following quote from “Spirited Away” written by Director Hayao Miyazaki. Full-time English -Japanese freelance translator, specializing in all materials related to the business/political field.